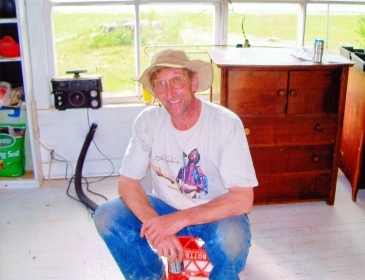 SCHENEVUS - Timothy Eric Lower, 54 years old, died unexpectedly Wednesday, January 9, 2013, at his home in the Town of Maryland. He is survived by his mother, Beverly Lower of Cooperstown; very dear friend and companion, Jennifer Doherty of Schenevus; faithful dog, Sanchez; uncles Clyde G. Bliss and his companion, Barbara Calabrese, of Otego and Keith D. Bliss and his wife, Flossie, of Burlington Flats and their families; and several other relatives, including his aunt Mable's family, and special cousins Mary and Linda. Tim had a special bond with his grandparents, Claude and Edna Bliss, who died in 1982 and 1997, respectively. He was also preceded in death by his aunt, Mable Bliss Whalen, who died January 26, 2012, and his sister, Colleen Anne Aufmuth, who died January 24, 2005. For twenty-two years, Tim was employed with the Otsego County Building Services Department as a maintenance worker and worked as such in most all of the county's buildings. For the past year and a half, he was in charge of maintenance at Otsego County's municipal building (the old City Hall) at 242 Main Street in Oneonta. He will be remembered for his creativity, artisanship-especially as a gifted carpenter, and love of music and nature. Tim and his faithful dog, Sanchez, loved each other very much, and walked many miles together in the woods surrounding their home. As Tim would often say, "Nothing is too good for Sanchez". He will be greatly missed by all whose lives he touched, most especially his mother. If she could talk with her only son just one more time, she would say, "I love you, Tim." And as his birthday would have been this Wednesday, she would also say, "Happy Birthday, Tim." A Memorial Gathering will be held from 6-7 p.m. on Friday, January 18, 2013 at the Hartwick Community Center, 346 County Highway 11, Hartwick. This will be a time to acknowledge Tim's gifts and celebrate his life.